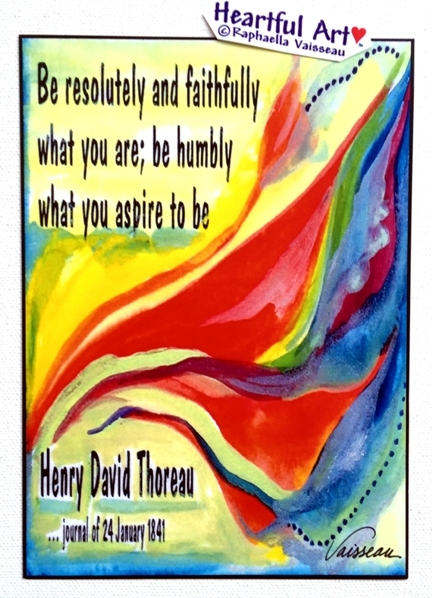 Poster or print of Henry David Thoreau quotation "Be resolutely and faithfully what you are; be humbly what you aspire to be" with art by Raphaella Vaisseau. These profound words from the beloved transcendentalist urge us to accept ourselves the way we are and yet to strive (humbly) to follow our dreams and achieve our goals. Believe in yourself. Accept and love yourself unconditionally. Stay focused on your goals and follow your path to achieve them.